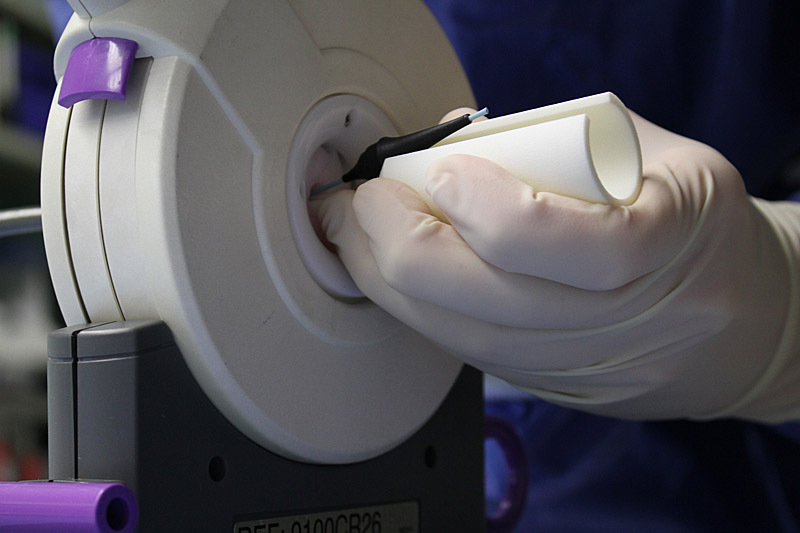 One task of the KidCathCardioLab team within the EU-financed LifeValve Project is the design and manufacturing of a delivery system. 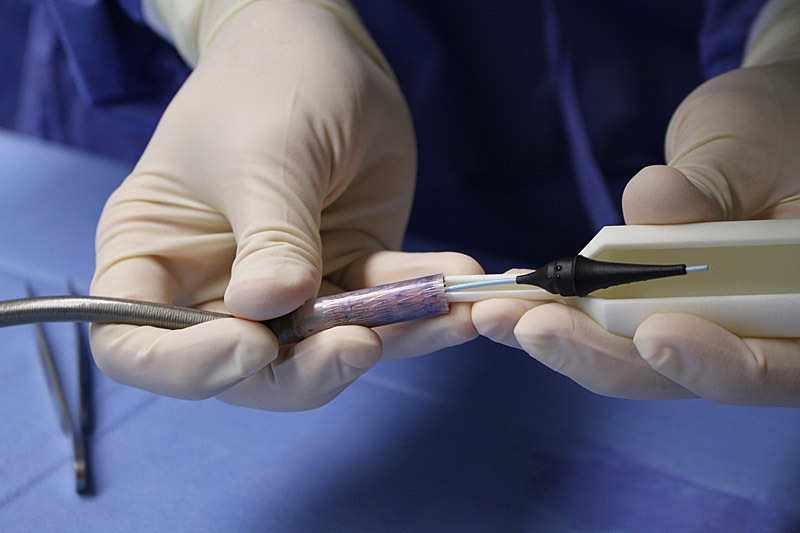 A tissue engineered heart valve is no use to a patient if it cannot be implanted properly. 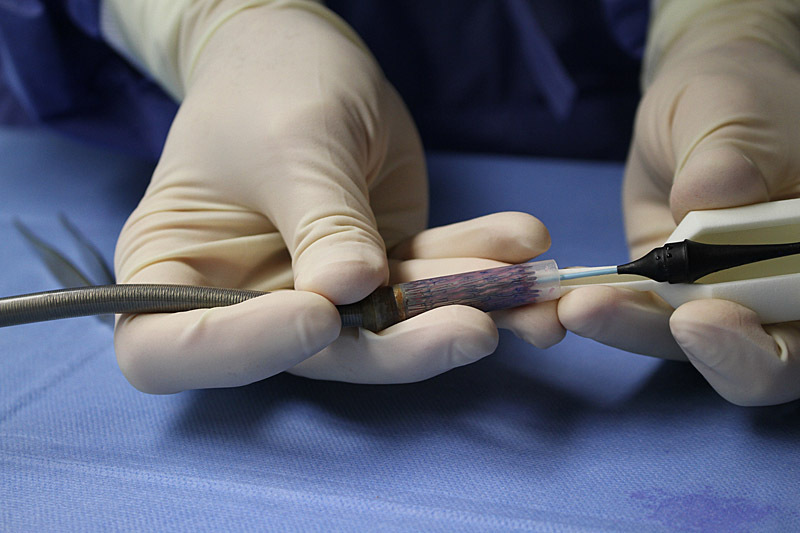 This means gentle on the patient and on the implant. 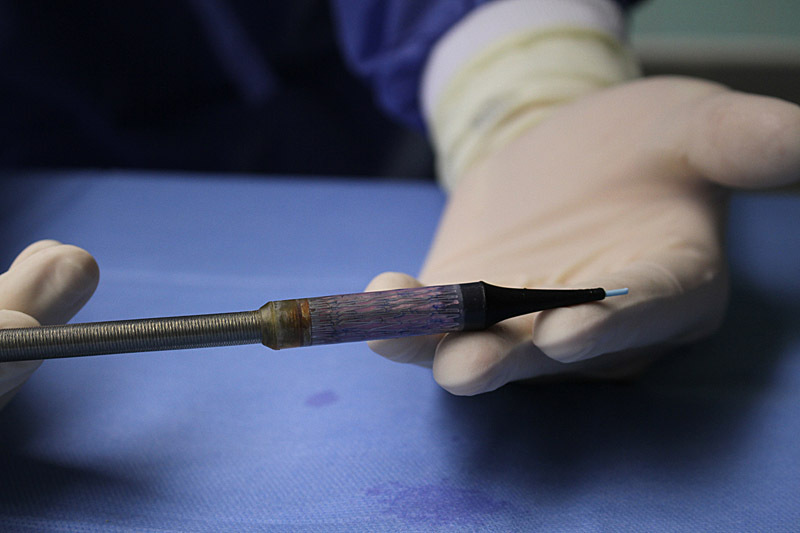 It should be suitable for minimally invasive implantation of a stented tissue engineered pulmonary valve, which is also developed in the course of this project. 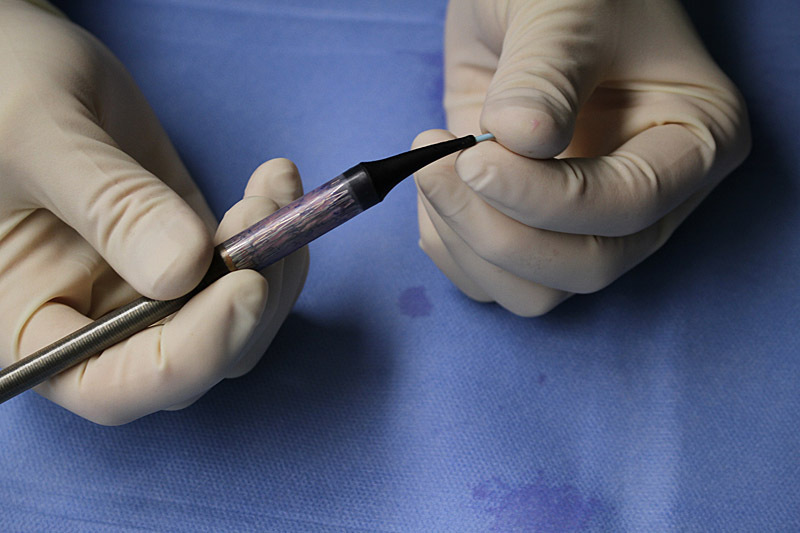 Teamwork between engineers and physicians enabled the quick and coherent development of an implantation device optimally tuned to required specifications. 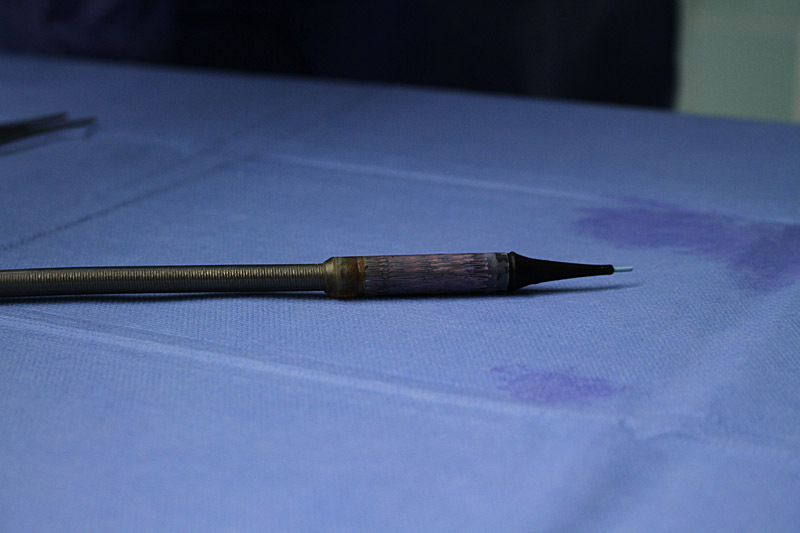 Since this catheter is intended for use in minimally invasive implantation procedure the stent has to be folded down to a certain diameter. 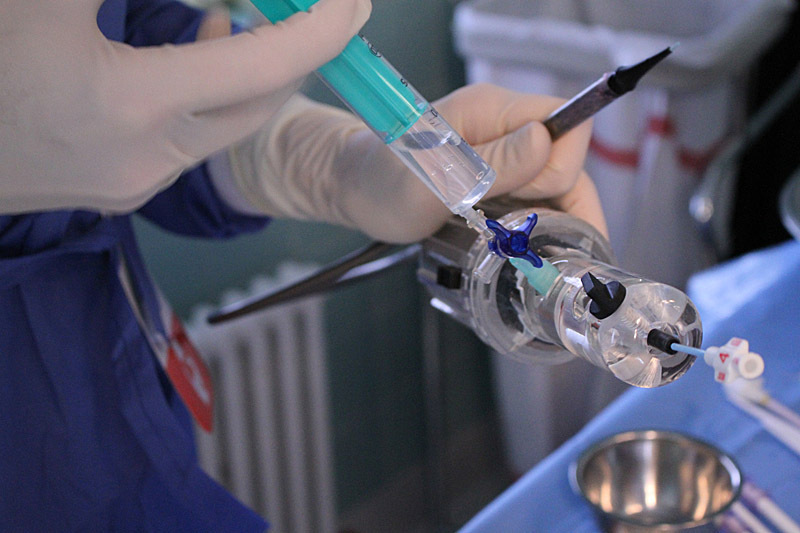 So the implantation team can use a vessel (usually the jugular or the femoral vein) to bring forward the catheter and place the valve in the accurate position, in this case as a replacement for the pulmonary valve. 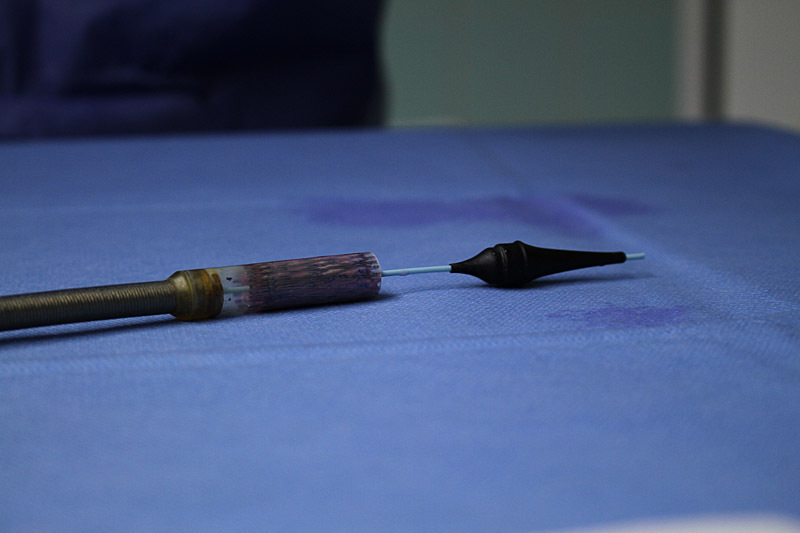 It has to be soft enough to follow the vessel’s curves but also strong enough to implant the valve. Initially a functioning prototype was designed and revised with different diameters suitable for a wide range of vessel sizes. The engineers on our team looked at the required specifications of the catheter and designed a tool suitable for this exact cause. After revision and optimization of the prototype, the delivery system is now available in different sizes. 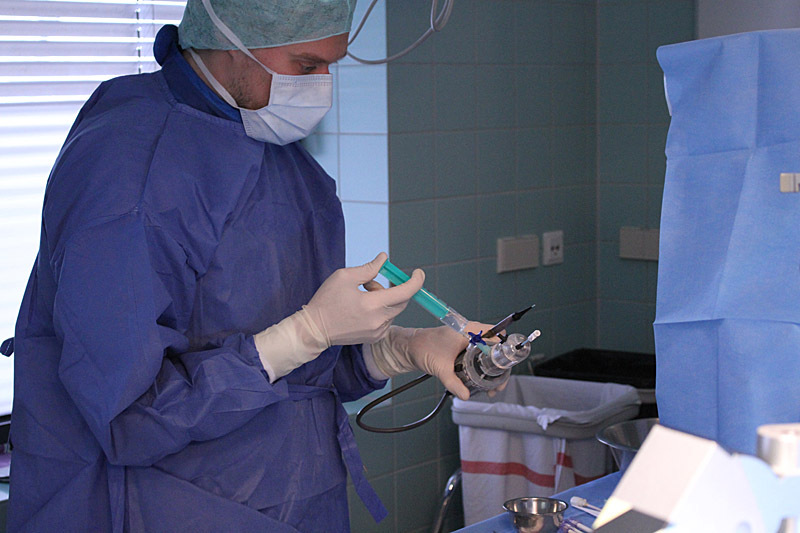 It has been applied in more than 45 implantations in animals and performed well. 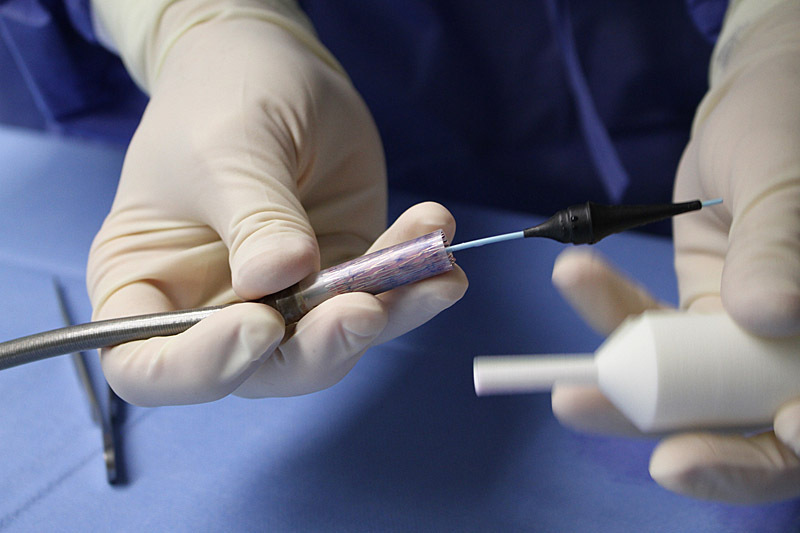 During these implantations tissue engineered heart valves and pericardial valves sewn into Nitinol stents as well as first prototypes of biodegradable polymer stents were implanted. Currently different options for future development are being analyzed and tested. This development shows how our team works: the need for a medical device is articulated by the clinicians. The engineers try to find a solution and develop a first prototype. This is then repeatedly tested and modified, until everybody is satisfied with the outcome. The result is a tailor made device that answers a specific need. 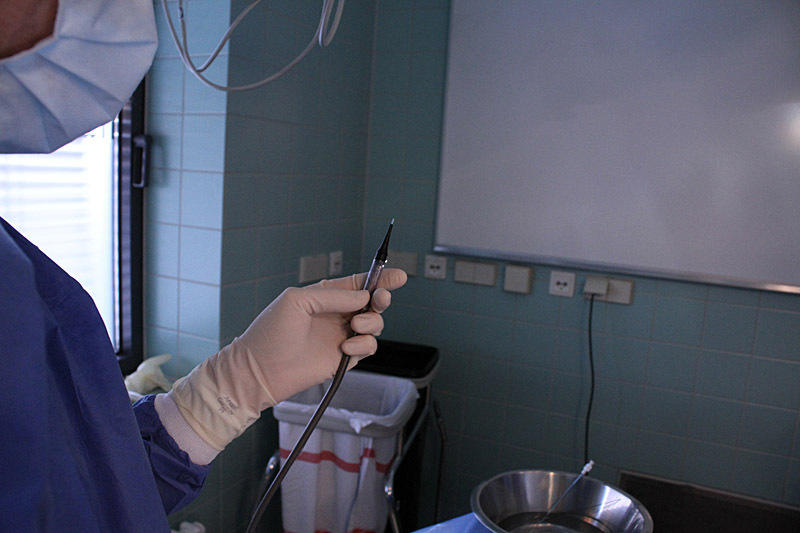 The close collaboration between interventionists and engineers allows for a quick translation from bench to bedside.